Paris is a fantasy town, a place of dreams for many. During my last visit, Paris revealed more of its magic: travelling with a teenager, we saw Paris in a new light. 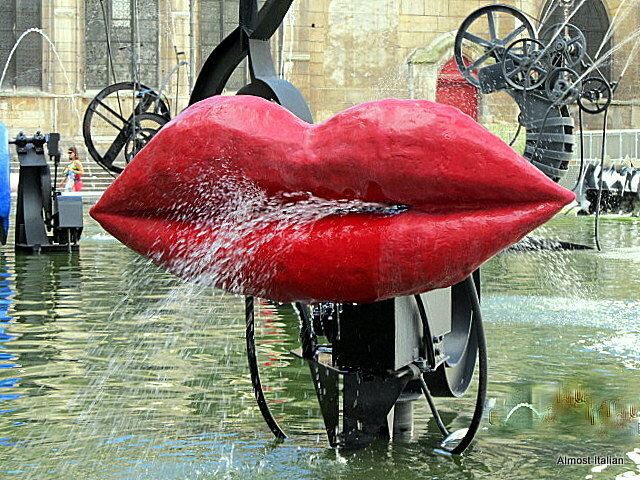 A little stroll around the Stravinsky Fountain, outside the Centre Pompidou reveals many fantastic sculptures, including Lips by Jean Tinguely. Thanks Ailsa for another interesting travel prompt, Fantastic. I lived in Paris as a teenager and used to hang out sometimes at the Centre Pompidou because it was a weird place. It’s an intriguing city. It is a great place to hang out. How fortunate you were to grow up in Paris! 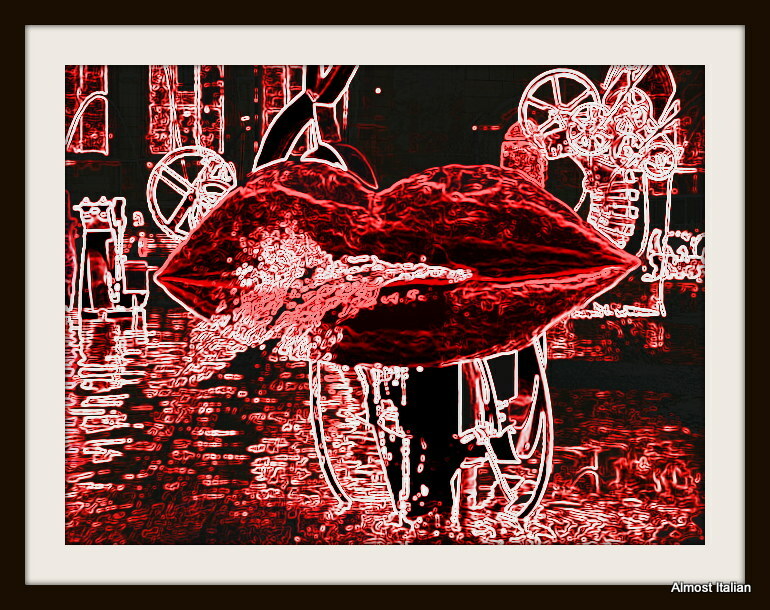 I love red lipstick and I love those lips! Oh wow, I love your treatment of those lips, not sure what you did there but it’s very effective! Thanks Sue, A little thing in Picasa. It is a fun treatment but only for things like this. great take on fantastic 🙂 and those art lips are so fun! You are so right – we often see a place through our travel companion’s eyes. Must have missed this sculpture when we were there, but then we left the teenager at home! Great photo! I did a similar post like this and edited the photo in 4 different ways. Great post!